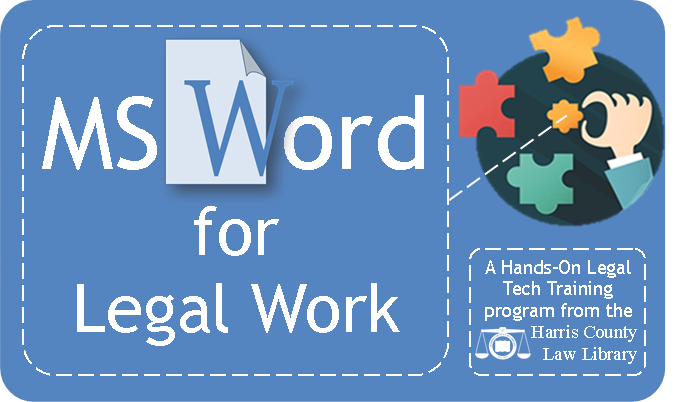 Join us as we offer our flagship hands-on training - MS Word for Legal Work - for an expanded audience on Thursday, Aug. 30, at 2pm. Learn the skills you need to draft documents more efficiently on the world's leading word processing software. Texas attorneys can earn 1.0 hour of CLE credit. Register today!